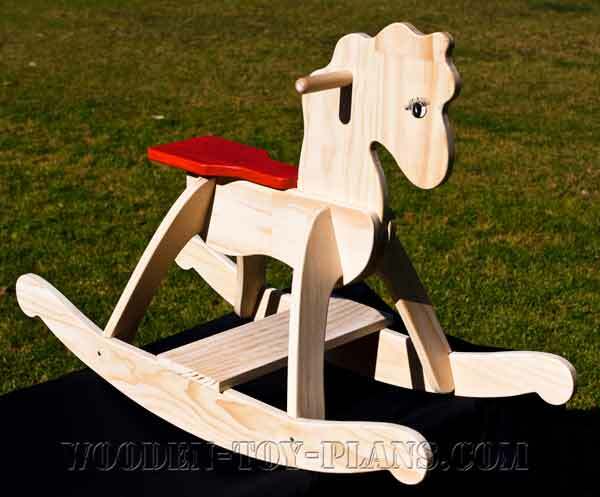 A small selection of free rocking horse plans that even a beginner will find it easy to master the art of making a splendid custom made rocking horse. 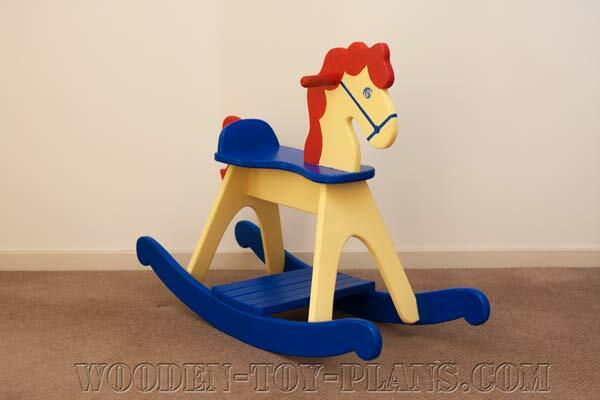 A rocking horse is not a substitute for a real horse, but for a little boy or girl, it has to be the best present ever. One of the best things about a project like this is that you can make it with a few basic tools using project timber, sometimes known as white wood, unlike many other woodworking projects which require expensive machinery. Another simple design, easy to make, complete with photos and construction notes. Seat height of 400mm or almost 16 inches. Free rocking horse plans - Oscar and his smaller sister Rosie. Instant free download, complete with photos and step by step instructions. This design features a mane and tail made from wool. 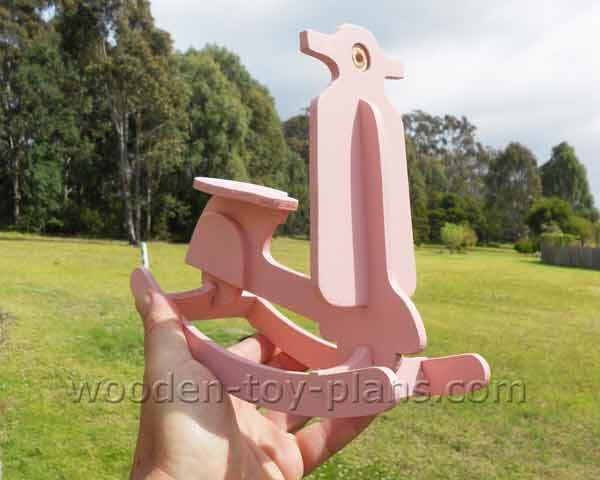 You don't have to be a skilled woodworker to make a rocking horse. It is the kind of project which invariably succeeds, given an enthusiastic and persistent approach. Making rocking horses for kids is a rewarding pastime. Most people who make rocking horses because it's something they really enjoy doing for their family and friends. What if there was a way to earn an income by sharing your passion? The simple designs will appeal to woodworkers of all skill levels. Even experienced woodworkers will find plenty of opportunity for exercising their skills. Many rocking horses are made by people with very little experience, so even if you doubt that you can do it, I encourage you to give it a go. There will always be somebody out there to help if you need it. 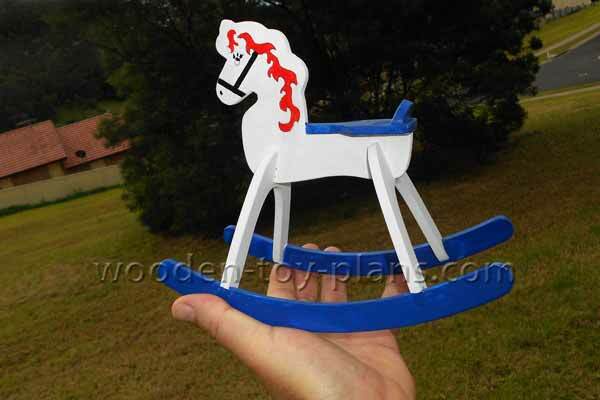 Free plans to build a rocking horse ornament - a small scale version, easily made with a scroll saw. A doll size rocking horse in the shape of a vespa scooter. Easy to make with a scroll saw. From Shopsmith - A Classic Design That Will Bring A Big Smile To The Face of A Special Child. Audrey's rocking horse from Binky's Workshop. 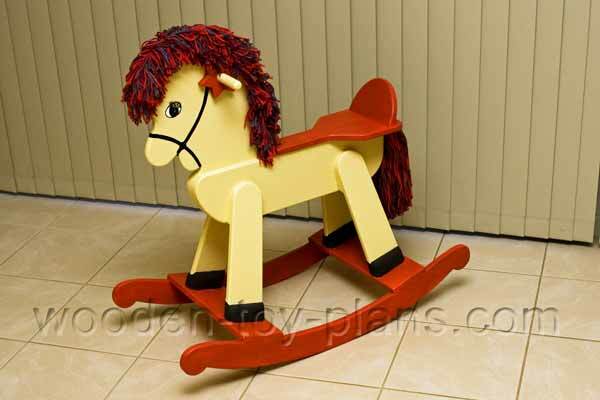 Photo Gallery a place to showcase your rocking horse project. Toy Safety includes a link to child safe paints.